The Cadbury Twirl bar is ideal for those late afternoon cravings, for when you're working in front of the computer and you need an energy hit. The triple pack provides better value. 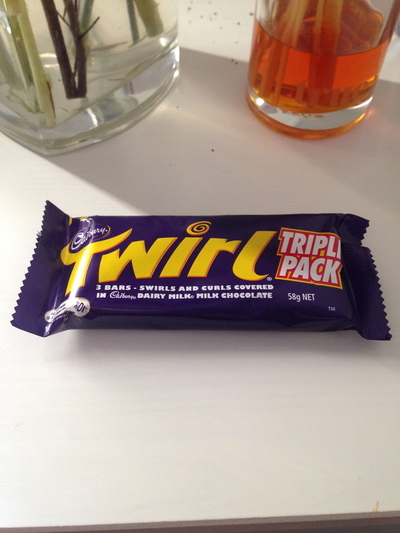 Quite similar to a flake, yet the Twirl has more of a milky chocolate taste. Not my chocolate of choice, however when working and when those cravings hit; this bar comes in handy with plenty of water afterwards.